Discussion in 'Bug Reports' started by jsbuechler, May 5, 2015. I'm having trouble actually getting into the game. I entered a user name and password, clicked register and pasted my alpha key. But now, trying to log in causes the game to hitch at the "Connecting..." message. Unsure where to go from here. I've had a peek at the log file but I have no clue what I should be looking for. Any suggestions? Did you make sure you downloaded the most recent version? I did. Downloaded it right from the homepage! Make sure your firewall/antivirus isn't blocking it for whatever reason. Assuming neither of the above worked, run a full system virus scan. In the end, if none of those work, send a private message to Siegfre for specialized help. 1.Experiencing some major lag even after running under compatibility. 2.Logged in and it reloaded me at night. 3. Found my duplicate running at chaos gate. 4. Textures on mountains in Hypha are still flickering. 5. Found patch of what looks like flattened grass. 6. I was in third person camera and this was my view. Welp.... They found where aryth grows his... "Grass"
"Yeah, at first, I was like, 'Why would I get flat grass?'. But then, after I tried it, I knew it was the grass for me. It was like having a floor in the front yard." "I was skeptical of flat grass when I had it installed. Walk on it yourself, you'll see how great it is." "When was the last time I mowed the lawn? With flat grass? Never." "A question I get all the time is, 'How does flat grass even grow?'. The answer is, it doesn't. It's just a picture of grass glued to a solid wood plank and placed over your front yard. It was really quite an amazing breakthrough. I am not surprised that my technology has been used in The World." Naruki, calmchaos, Lunex and 1 other person like this. @Aryth: That sounds delightful. How much does it cost? And Luney, there's more than one thing wrong with this picture. Look at the legs and feet. Your character holding it in or something? If you have a full inventory and hit f2(which removes all equipped gear) the equipped gear gets wiped due to no open slots in your inventory. got killed by a lvl 5 area monster in one hit. again by a lvl 10 area monster. im lvl 14. hp is at 400+. cant attack again. 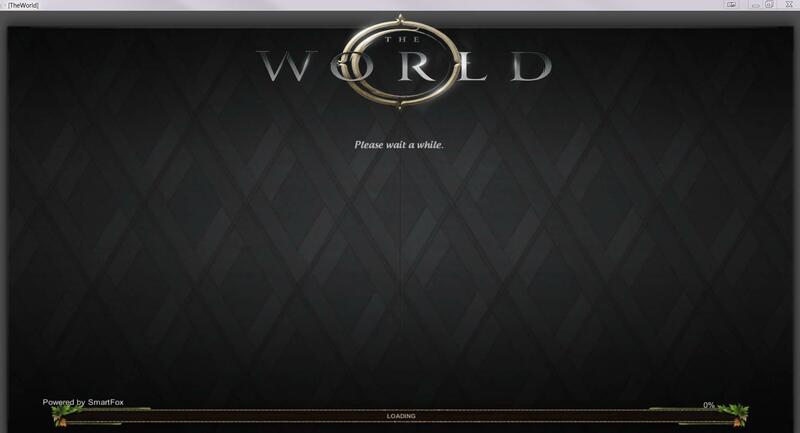 i logged out then tried to log back in but cant log back in. stuck at the login screen. EDIT: was able to get back on this morning (may 23), i can attack now.........but only if i press BOTH main attack and secondary attack buttons. monsters spawning out of nowhere too. some random camera movement when you kill a monster. Alright, time for me to contribute to the Bug Report thread. Having just got into the game.. oh boy, the bugs make for an interesting adventure themselves! First off, let's start with the character models and customisation. Everything seems fine within the start of creating your character, but this changes once you're done with the process. In cases of the actual player themselves, certain parts of your body appear to be invisible depending on what armour you chose (or if you don't choose to have any gauntlets, my character was basically running around with no hands a majourity of my play-through). Where as the collar on certain outfits bug out and constantly jut out, altering depending on the camera angle. Like so, the weapons on the Rogue seems to cut through the environment and actually shows through them. It seems that only sometimes that someone else's character model will actually render properly. From my experience and my boyfriend's, both of our models were glitched in some way when we saw one another. Where as his model was a messed up glitch of a character (barely resembling the character he costumised, more like a shadowed mixture of weird blues and black and other various colours), he saw mine as the unaltered model you received before customising your character. Once "normal", the other a bit glitched as well. The other times my character model had shown, but with the wrong armour or in odd poses which I happened to not be doing at the time (face-down with my character's chin buried in his chest, as one thing). Second, I'd like to point out that sometimes the actual menu (or interface) doesn't work (exit game/log out/etc. ), sometimes it will, and other times it refuses to register you click these buttons. More often than not I find myself forcefully closing the game because it actually won't let me do so from the game itself. From said menu, I also went in to edit my keybindings to no avail - a lot of the actions that should have been present didn't seem to be at all, even with the settings saved. The only reason I did this was to see if I actually could properly attack, because like someone else said up here, me trying to attack only worked if I slammed on my two mouse buttons at once. It was frustrating and.. still is, because even resetting the keys to their usual state, it hasn't helped much. Third, tying into the reason I struggled with the interface itself... the mobs. They're nearly impossible to fight, and it seems they aren't necessarily anchored to their spawn point either. When I was actually able to warp to some zones (which worked sometimes, and others not), it seemed the monsters would wander until they actually found you and promptly killed you. Even if you had barely zoned in. This was often the case with me, because momentarily as I'd be in a zone I would have three enemies bunching up on me and.. killing me, because I had no means of actually attacking them (due to this being bugged, also?). Like so, I've seen enemies in higher zones seem to, at points, be able to kill a lower level player. Where as enemies in lower zones seem to be able to not only kill you quickly (within a few hits), but can even one-shot you (even with armour, well, what armour you can have as a lower character). Lastly, the party system seems to be a bit.. bugged at the moment as well. Sometimes it acknowledges I sent an invite, and shows us as a party. Where as other times it will say we're in a party when in fact it isn't showing it in game. Both times I've been grouped up, we haven't even been able to warp anywhere. Maybe this is a fault of our own, just having got into the game, but it's something I've noticed and felt I should add? I should mention as well that logging and relogging suddenly changes your class, so you have to keep going back to switch that. Not sure if it's intentional or not, but it can get a bit tedious after a while. Oh, and it seems in the main hub, by the warp, there's randomly just treasure chests spawned? Apparently I could see them, and even went to go stand one them while my boyfriend was unable to see them at all. Or in fact, see that I had moved to them because apparently I was, on his screen, still standing by the teleport. It seems said spawned chests seem to change in number on occasion when I log on too, so.. well. It's just a funny little thing I felt like I should throw in here, because why not. ill address the chests- I put those there during some trial and error, and I guess because of my neat organization and placement- the admin left them there on a whim. im currently trying to figure out why only some people can see the items I spawn- should have an answer shortly. but thank you so much for joining our little community- we are glad to have you here!! If you haven't already, please be sure to double check that you are running the game as administrator. And that it is not being blocked by your firewall. Edit: If it takes longer than a minute, it's not working properly. Huh... so thats weird. turns out it was a firewall issue. thanks for mentioning that Seigfre! Np! Glad that you've got it up and running. I quickly wanna point out a rather large set of errors in the game concerning the character models. All character models, especially the female ones, are virtually ghosts due to anything that isn't armor completely disappearing. I and several others had the problem and the only way we could fix it was to clothe ourselves in complete armor, I wanted to wear on of the robes in the f2 mode. Also, it seems when going back and forth into buildings and stuff the character will sometimes slide into the ground and become permanently stuck, then in the field the player character, if they die, will just permanently be standing up. I had the issue when I got killed in the only field I could actually get to.